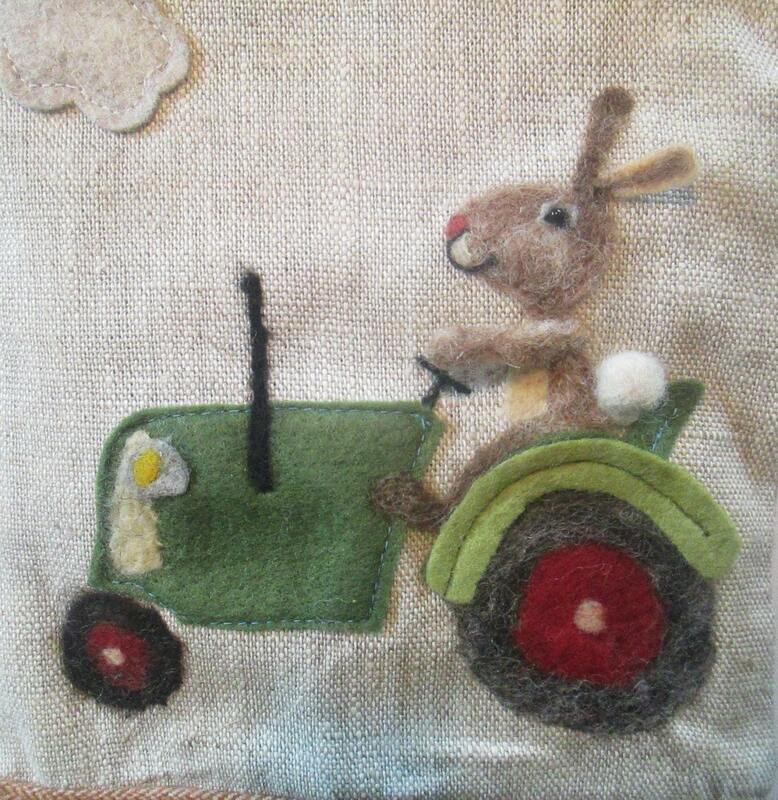 Here comes Rabbit bouncing along in his tractor with his tooth fairy wagon, ready to collect bright shiny teeth. 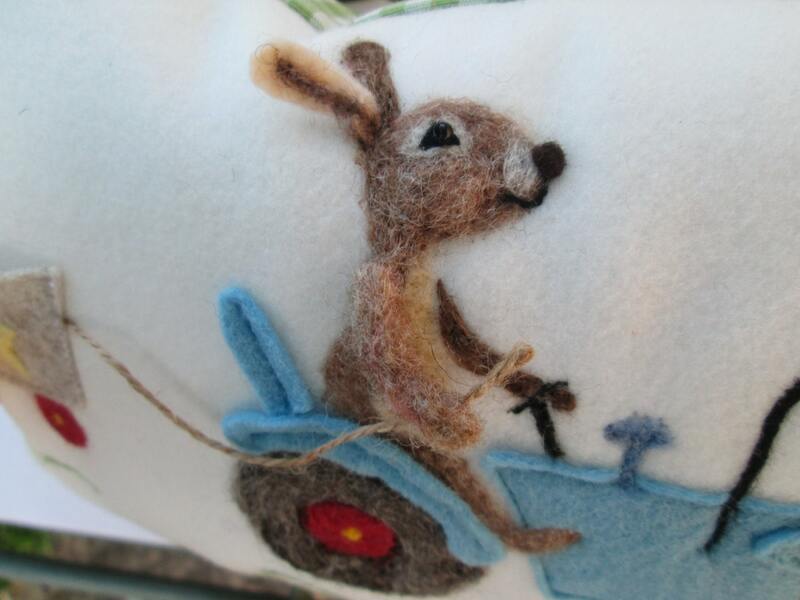 He is needle felted with wool in full relief so his ears, arm and tail are all 3D. His wagon is open at the top ready to hold the lost tooth. 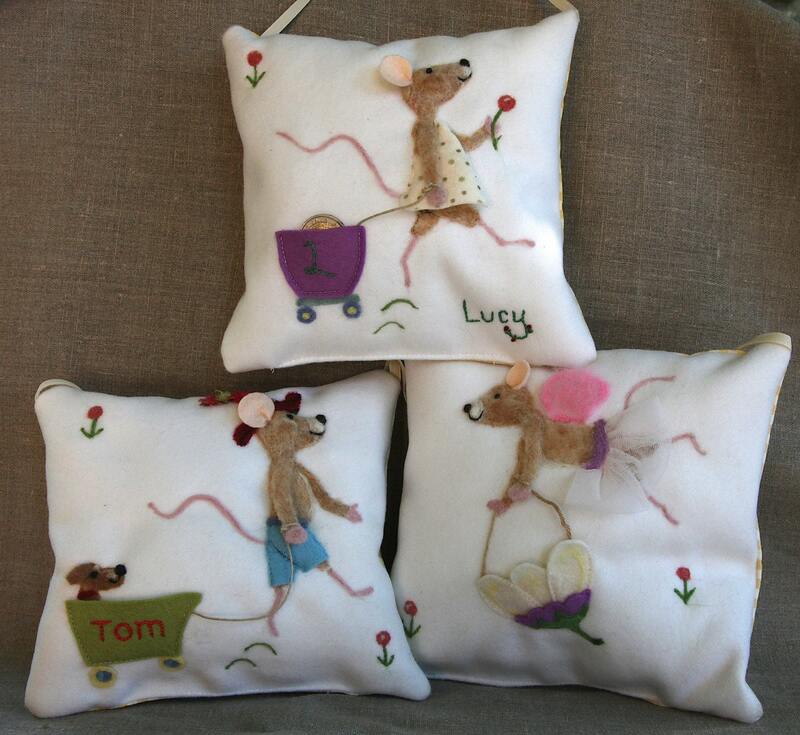 Each pillow is handmade by me and they make a truly unique Christening present. The cushion is approx 15 cm by 15 cm (6x6 inches). There is a ribbon so the pillow can be hung on any handle or peg. 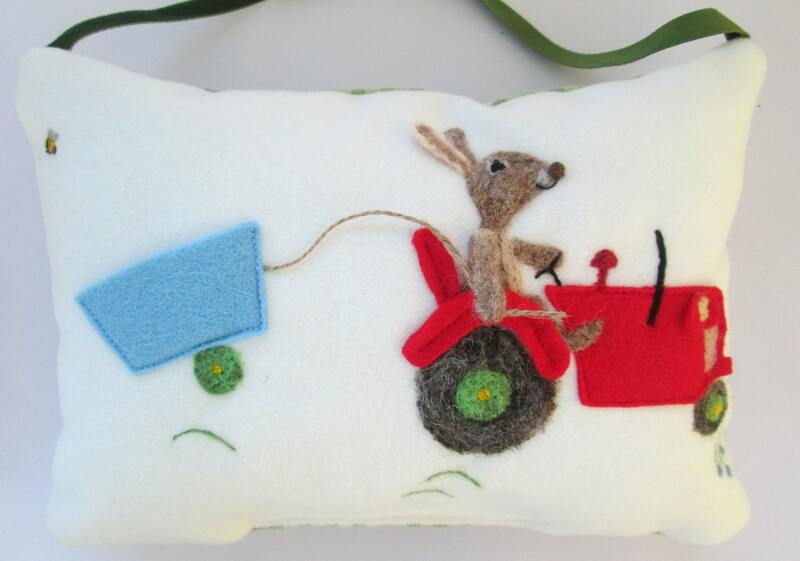 There is a list of options with the different designs I offer, if you like this one please select the Tractor Rabbit design and unless you ask for anything different the tractor will be red. 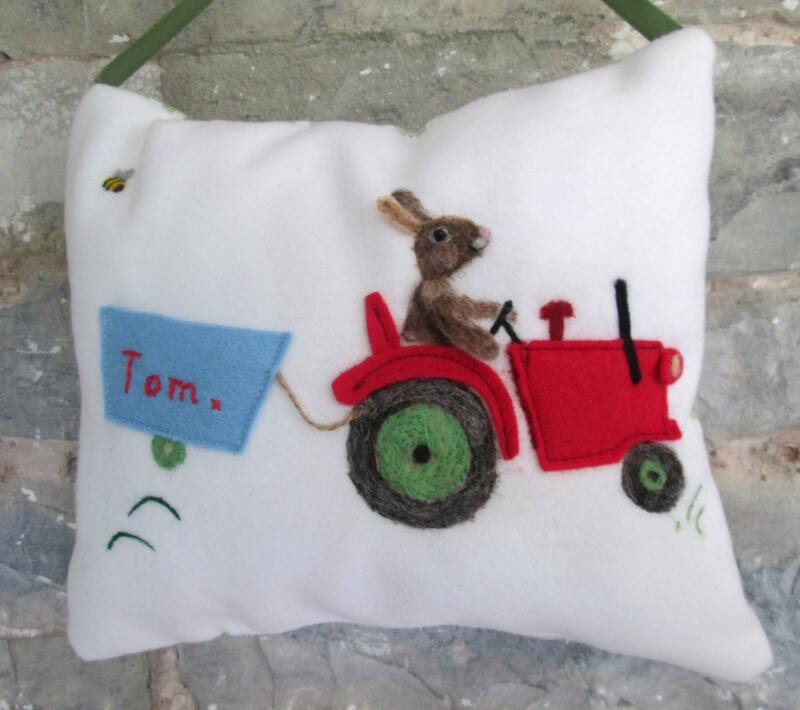 Let me know the name you would like when you purchase and it will be hand embroidered onto the front of the cushion. This tooth cushion makes a lovely, memorable gift and heirloom and is hand made in Somerset, England.